Elliot’s in a difficult position. His dream has always been to run a local bakery but his pastry allergic mother’s dying wish was for him to become a professional wrestler. He’s not cut out for this. He’s 5ft 6, has tiny arms, is scared of loud noises and cats, has a sneezing ‘issue’ and his crippling asthma prevents him from running even short distances. Even worse, he's about to face the fight of his life: a wrestler so dangerous that he mercilessly kills all his opponents! In Elliot’s journey through the seedy underbelly of the wrestling world he meets various colourful eccentrics: a business executive who’s as deadly in the ring as he is in the boardroom, two star crossed wrestlers who must keep their love secret (while also grappling half naked to rapturous applause) and a grown man who chooses to be called ‘Doctor Insano’. 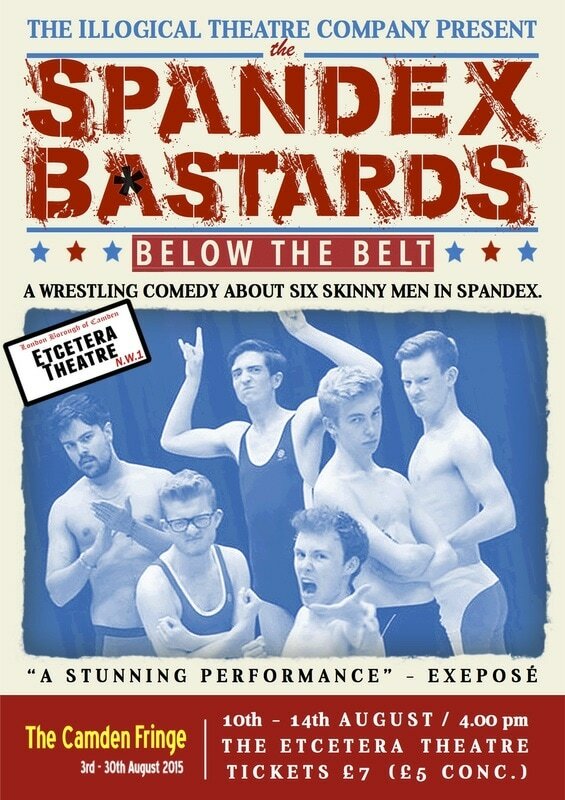 An absurd theatrical romp about being true to yourself written by six very skinny men who know nothing about Professional Wrestling. Created with Illogical Theatre this production was taken to the Etcetera Theatre as part of The Camden Fringe in August 2015.